Two very popular brands of coffee liqueur are Kahlúa® and Tia Maria®. You can make a coffee liqueur at home that tastes very similar to those popular brands. 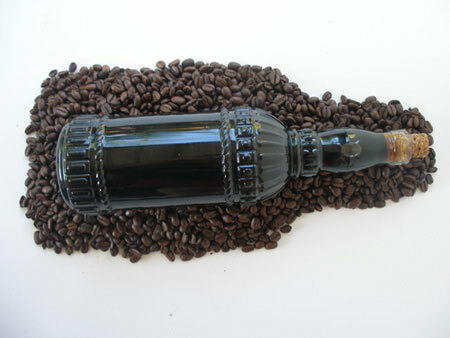 Making coffee liqueur at home is easy, inexpensive and delicious. It can be made with ground coffee, instant coffee, decaffeinated coffee or any coffee of your choice. 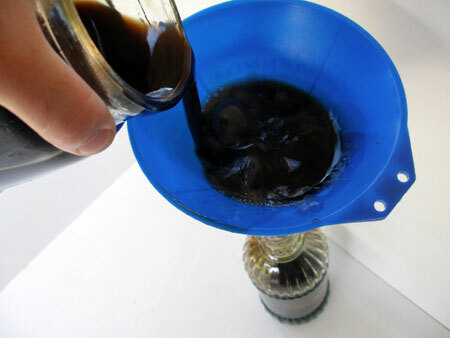 The basic concept of making coffee liqueur is to make a really strong coffee with sugar. Add vanilla and liquor. Let it age for at least one month. Bottle it and that's it. Make a strong coffee - choose a bold or extra bold coffee to get the maximum flavor of coffee. Add sugar - pure cane sugar, granulated sugar or brown sugar. Add vanilla - vanilla bean or pure vanilla extract. Add liquor - vodka, rum, dark rum, brandy, cognac or a combination of them. Let it age - at least one month and bottle it. You don't have to use vodka. You can use rum, dark rum, brandy or cognac. In addition, you can also combine the liquors. For example, you can do half vodka and half brandy. Brew a really strong coffee using a bold or extra bold ground coffee. You can use a coffee maker or a French press. 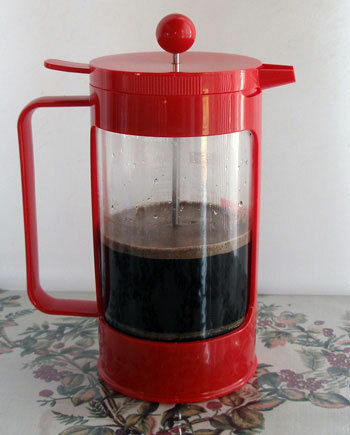 I personally used a French press to get the maximum coffee flavor. Note: I used a French Roast coffee for this coffee liqueur. 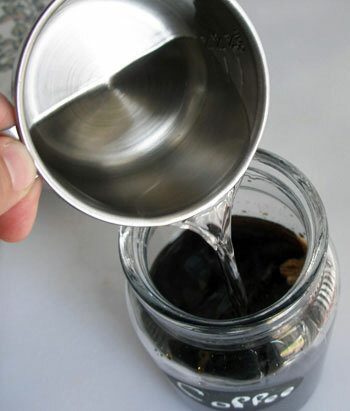 Once you made a strong coffee, pour the coffee into a glass jar. Add brown sugar and stir well until it dissolves completely. Let the coffee cool down for a few minutes, then add the pure vanilla extract and vodka. Stir well and seal the jar. If you prefer to use vanilla bean instead of vanilla extract, split one bean lengthwise and add it to the coffee. Remove the vanilla bean after four weeks. 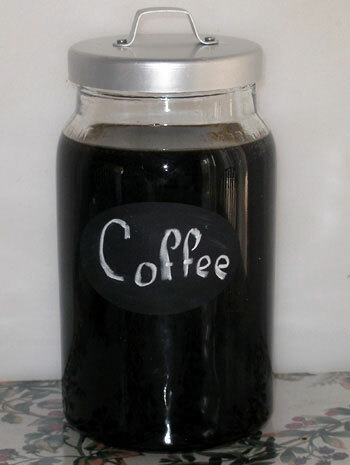 Store the jar of coffee liqueur in a cool place away from sunlight for at least one month. Stir the contents with a metal or wood spoon at least once a week. After one month of aging, stir the coffee liqueur and bottle it. According to Kahlúa, its coffee liqueur is made from 100% Arabica coffee beans, sugarcane, vanilla, caramel and notes of rum. According to Tia Maria, its coffee liqueur is made from Arabica coffee beans, sugarcane, Jamaican rum, vanilla and hints of chocolate. Note: The recipes for Kahlúa and Tia Maria are only known by them, but this coffee liqueur recipe is similar and delicious. You can use any instant coffee of your choice. It could be regular instant coffee or decaffeinated instant coffee. Dissolve the brown sugar in a pan with hot water. Add instant coffee and mix well. Let it cool down. 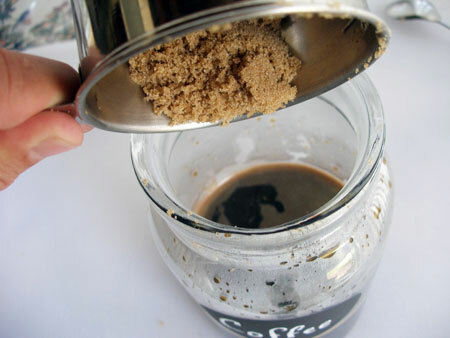 Pour coffee into a jar. Add the pure vanilla extract and vodka. Stir well. After one month of aging, the coffee liqueur is ready to be bottled. Get a funnel and an empty bottle. 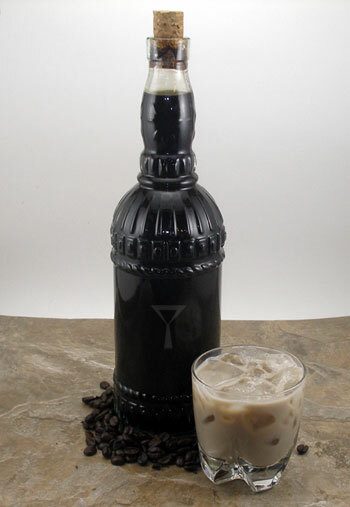 Pour coffee liqueur into the bottle using the funnel.